The former president was responding to Mr. Shettima’s statement at the book launch of Bolaji Abdullahi, the spokesperson of the All Progressives Congress, APC, in Abuja on Thursday. “He should be able to tell us if it was Jonathan’s poor choices that led the governor to expose students of Government Girls Secondary School in Chibok to avoidable danger, in total disregard of a federal government directive to the governors in the three states most affected by Boko Haram to relocate their students writing the West African School Certificate Examinations to safe zones,” said Mr. Jonathan, who was president between 2010 and 2015. The statement further described Mr. Abdullahi’s book titled ‘On a Platter of Gold- How Jonathan won and lost Nigeria” as sour grapes and full of lies and gossip written by someone who was still aggrieved at his removal as minister during the Jonathan administration. As a man who had never seen anything good in the administration of former President Goodluck Jonathan on account of the party and other differences, it has remained our considered view that in a democracy, Governor Kashim Shettima and others like him are entitled to their opinion, no matter how jaundiced. Talking about accountability, perhaps, Shettima should also do well to explain to the good people of Borno State and Nigerians what he did with the over N60 billion Local Governments fund, left by his predecessor, Senator Ali Modu Sheriff. * Jonathan Government delivered over 25,000 kilometers of motorable federal roads from just a quarter of that number in 2011. * Jonathan’s Agricultural Transformation Agenda ended fertilizer racketeering, encouraged more young Nigerians to take to farming, boosted local food production and took the country closer to self-sufficiency in food production by recording more than 50% reduction in food imports. It was as a result of this that the Food and Agricultural Organisation of the United Nations, for the first time, voted Nigeria the largest producer of Cassava in the world. 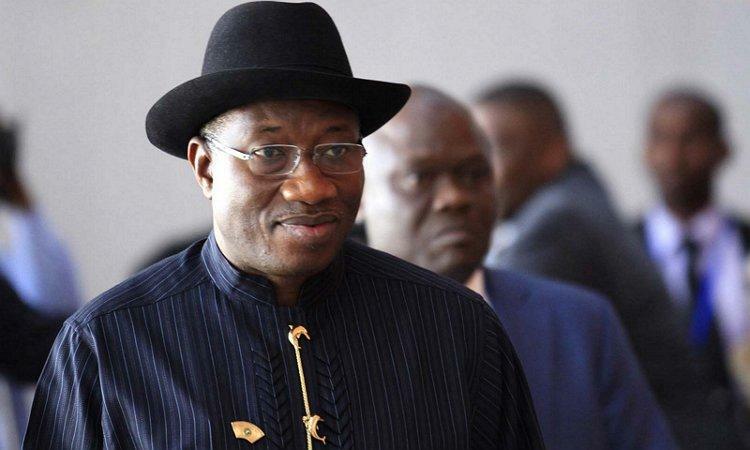 * Under Jonathan, Nigeria controlled clinically Ebola outbreak to the admiration of the whole world, became Guinea-worm-free and also eradicated polio, with United States billionaire and renowned philanthropist Bill Gates, praising Nigeria’s successes against polio as one of the great world achievements of 2014. Sadly polio has returned to the country with the likes of Shettima in charge of the endemic states. * Just before Jonathan left office, CNN Money projected that Nigeria’s economy in 2015 would become the third fastest growing economy in the world at 7 percent behind China at 7.3 percent and Qatar at 7.1 percent. sour grapes. We didn’t expect truth, sincerity, and accuracy of narration, given that the author who was sacked from his ministerial position by the subject of the book, is now the spokesman for the ruling APC. We will, therefore, like to dissociate former President Jonathan from the book’s salacious contents, with all the obvious distortions, lies and exaggerations. Its pages are populated with gossip, politically influenced newspaper articles, uncoordinated raw data, and unproven claims. Sadly, the author did not help matters, as there was no rigor or in-depth investigations towards establishing the veracity of the allegations the book contained. For instance, it is ridiculous for the author to have claimed that the president was forced to sack a certain minister by another cabinet member when the obvious truth known to all key members of the administration was that the President acted based on the recommendation of an internal committee that investigated the matter. This, unfortunately, is the kind of baseless claims and narrative that run through the entire book, and it would be pointless devoting our time towards making a case by case response to all its ridiculous allegations.